Partnership is a way for people who consider missio Dei to be their home church to assume greater ownership of the vision and mission. Our next partnership classes will be September 16th and 23rd from 1-3p. If you have questions about what partnership is please feel free to email us at info@www.missiodeifalcon.org, or if you would like to sign up for the class, please RSVP here. One of our theological distinctives as a church is that we are elder-led. This means that our understanding of Scripture is that the church is to be led by a group of men who are called to serve the church by modeling servant leadership after the example of Jesus. You can find the recording of the announcement of their candidacy period below. In order to have our weekly gatherings in an elementary school we need of volunteers for coffee, worship, missio: Kids, tech, set up, and tear down. If you aren’t currently serving it’s a great way to use your gifts and get connected to other volunteers! You can sign up by clicking here. https://www.missiodeifalcon.org/wp-content/uploads/2019/02/missio-dei-falcon-logo-2019.jpg 0 0 Kolburt Schultz https://www.missiodeifalcon.org/wp-content/uploads/2019/02/missio-dei-falcon-logo-2019.jpg Kolburt Schultz2015-06-02 16:07:302015-06-02 16:07:30Hello world! 1. We will meet an hour earlier: 5:00. 2. Due to weather concerns we have moved the location and will now be gathering at Grace Community Church. 3. The address is 9475 Grace Church Vw., Falcon, CO 80831. 4. We will not be meeting at Woodmen Hills Elementary. This is the important part to spread the word on, we don’t want any of our friends showing up at the wrong location! 5. 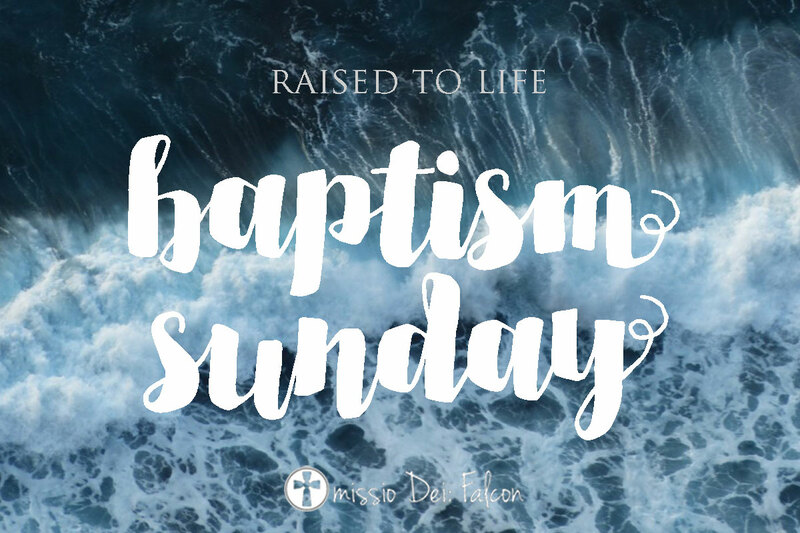 We will celebrate the baptisms by sharing a meal as a church after the service! The church will provide pizza and salad for everyone (including a few gluten free pizzas), but if you have any more specific dietary needs feel free to bring your own dish. Finally, and most importantly, if you would like to be baptized please contact Kolburt. As we’ve mentioned, there is no such thing as an unbaptized Christian in the Bible, so if you love Jesus and have not been baptized this is an important demonstration of your faith. We are told in Matthew 28 to go make disciples (followers) of Jesus, and how do we know who is a disciple? It is someone who has been baptized in the name of the Father, the Son, and the Holy Spirit. 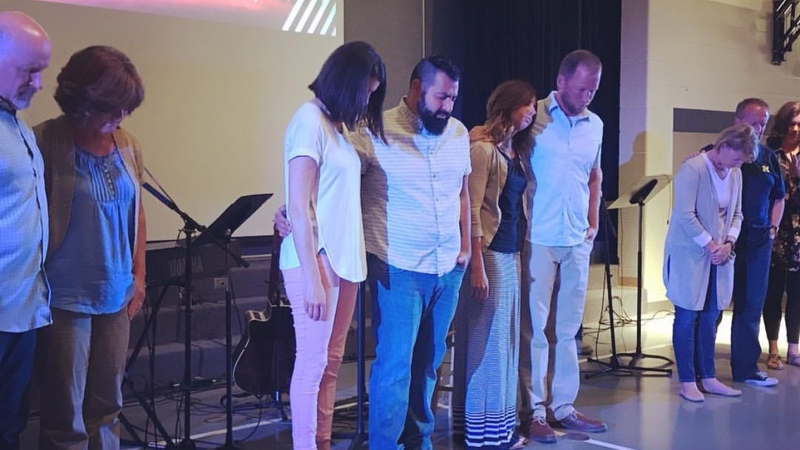 This is a wonderful, joyous, sacrament that the Church has celebrated for thousands of years, and we’re so excited for our community to participate in this act!